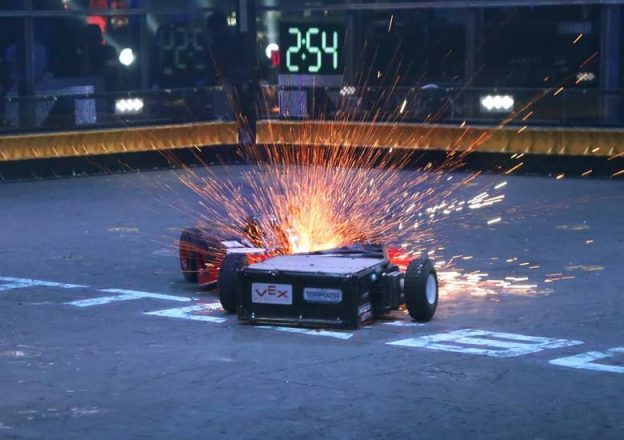 The epic robot-fighting series BattleBots is going back into production in April and will return for a second season on Discovery Channel and Science Channel this summer. BattleBots features the world’s biggest, baddest, strongest, and fastest next-generation robots from all over the world as they duke it out for robot fighting supremacy. 2018 Champion Bite Force will return to defend its title against top competition including perennial contenders Tombstone, Minotaur, Witch Doctor, Bronco, Bombshell, and Yeti. The metal munching mayhem is coming back, from the bots to the builders, the flames, the spark and all the robot guts and glory. With each match consisting of two robots competing in a single, three-minute bout, the goal is to destroy or disable their opponent. If there is no knockout during the battle, a panel of judges will declare a victor. The play-by-play team of Chris Rose and Kenny Florian will return to call all the action. Faruq Tauheed is back as the ring announcer. BattleBots also highlights the design and build of each robot, bot builder backstories, and their pursuit of the BattleBots championship. Homemade robots built on a number of platforms and featuring a huge variety of deadly weapons go head-to-head, all captured by state-of-the-art onboard technology and cameras to enhance viewing and provide combat analytics. BattleBots is a reimagined take on the killer robot combat sport from Whalerock Industries and the creators of the original BattleBots franchise, Ed Roski and Greg Munson. Executive producers are Lloyd Braun, Chris Cowan, Edward P. Roski (Trey), Greg Munson, Tom Gutteridge and Aaron Catling. Wyatt Channell will executive produce for Discovery Channel and Science Channel.